Headlines, hot news, and conversation starters on April 20, 2017! 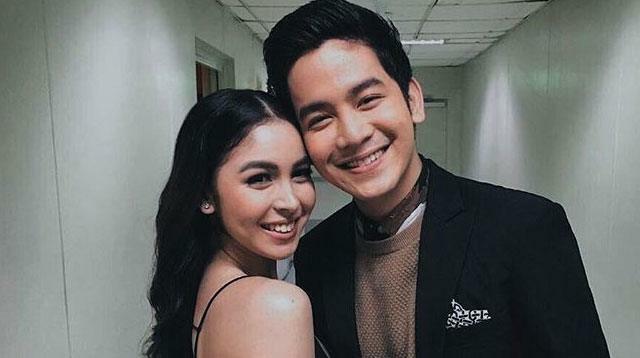 1 Julia Barretto and Joshua Garcia just can't seem to stop with the kilig ~*feels*~! In an interview on April 18, the two shared some sweet details about their relationship—although they continue to stress it's all platonic. Despite being just friends, the two had no problems sharing the qualities they like about each other. "Ang maganda kasi sa amin, naba-balance namin 'yung isa't isa. Gusto ko 'yung pagiging sweet niya sa akin and maalaga din," Joshua shared. "Ang dami namang good qualities ni Josh but my most favorite is 'yung pagiging maalaga niya. Every time I am with him, I feel safe lang because I know na I'm taken care of," Julia added. 2 Speaking of couples, Kathryn Bernardo just posted an ultra-adorable photo of her and Daniel Padilla, with an accompanying PDA caption to boot. Kath kept it short and sweet with just two words: "Mister ko." 5 Planning your wedding? International wedding company BG Bridal Gallery just opened its showroom in Bonifacio Global City to help you make all the necessary preparations. "Our goal is to make wedding planning as smooth as possible for brides by providing them with one stop global themes and design wedding planning services," explained BG Bridal Gallery CEO Tony Wakiyama. To give you a feel of the services they offer, BG Bridal Gallery is hosting a free Bridal Bootcamp on April 22-23 and April 29-30, with sessions from 1:00 p.m. - 3:00 p.m or 4:00 p.m. - 6:00 p.m. Call (02) 720-9804, email infoph@bgbridalgallery.com, or drop by BG Bridal Gallery at: 3rd Floor, C2 Building, Bonifacio High Street Central, BGC.